The link to the recipe is above and for the pita I used that link but instead of using the oven I cooked it on a cast iron grill pan a great tip from Lisa . Overall I enjoyed the meal the pita were decent for a first attempt, its taken me years to master chapatti so next time they will be better, I loved the taste of the chicken and the lovely yogurt, mint and cilantro sauce. This dish brought back memories of our brief visit to Dubai. 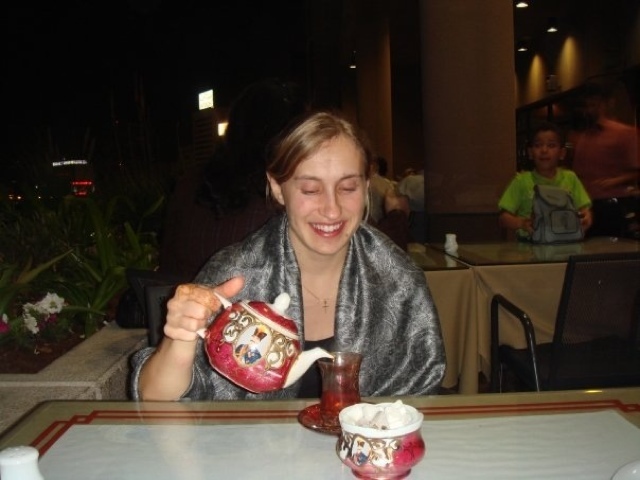 Here's me enjoying tea in an Iranian restaurant this place was cool, called Apple in an office building with great food and views. Outside of a pretty Mosque, I wanted more of this and basically ancient culture. 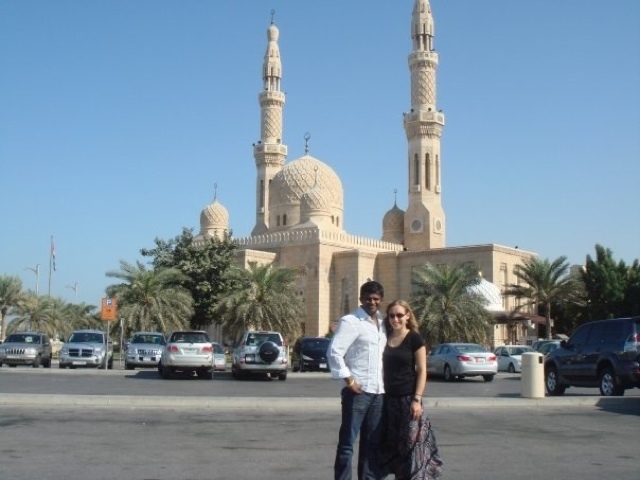 Dubai to me lacked this, modern city with very little ancient buildings this was one of the oldest mosques and only dates back to the 1970's. I enjoyed Turkey much more for this. Camels, back in the day the people in this area were bedouins living in the dessert. 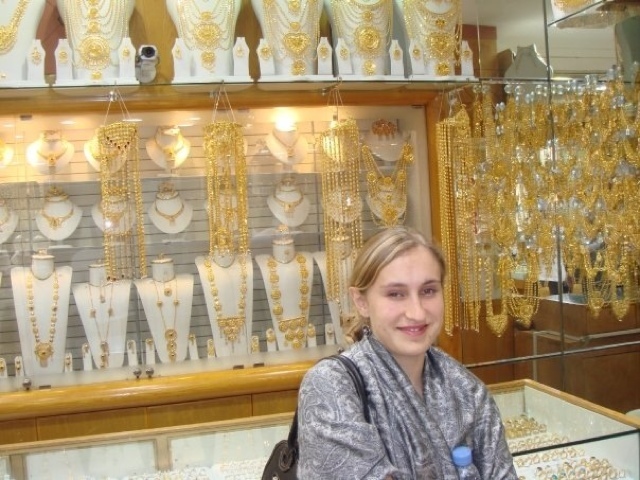 No trip to Dubai is complete without a trip to the gold shops the picture says it all! even a lot by Indian standards we actually stopped in Dubai on our way back to the UK from India three years ago after attending my brother in laws wedding. I would say its worth visiting for a layover for maybe a couple of days but not as a destination, but that's of course my humble opinion. So where do you wish to travel to in 2012? Those traveling photos look great! You take the best trips, Rebecca! Wonderful photos of you against all the different scenes. 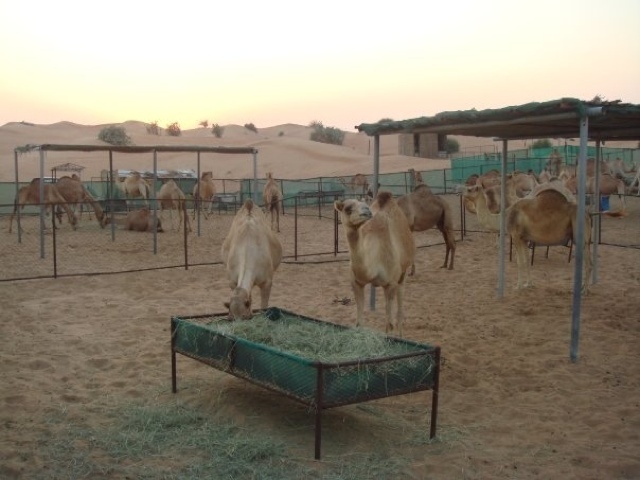 I love Middle Eastern food too...Dubai would be a dream trip for me! How crazy. My friend and I were just talking about visiting Dubai! Well, our hopes to visit one day, really. Great recipe and lovely blog! So fun to see your photos from Dubai. We're just starting to plan a big family trip to New Zealand in April-can't wait! Love that you are introducing new food for my menu. Wishing you all the best for you and your little family on 2012. I just got warm all over seeing the photos. I also love mid-Eastern food - although being pasta-centric do not make it enough. Ahhh - travel. Still hoping for Alaska one day - but going to Utah. So cool I was going to make shawarma this week. My daughter loves middle eastern food, and we have two restaurants we frequent...so she was excited to try and make it. We can pick up our pita bread and cheeses there. I did want to make my own pita bread too. I was planning on using my new cast iron griddle that I got myself for Christmas. So it's good to know how it works on the griddle. I love seeing all your travel photos, so jealous too, wish I was there too! Have a wonderful New Year Rebecca to you and your family! what a fun and unique meal! Congratulations on making your own pita, the sauce with this sounds amazing :) And these photos are gorgeous! Wow, what fun trips. The pita looks yummy . Shawarma is new to me. Will have to check it out. Thanks for sharing your pictures with us. Wishing you and your family a Happy New Year! Wonderful photos. Thanks for sharing Rebecca. Hope you and your family had a great holdiay season, and I wish you nothing but health, happiness and joy in 2012. Fun photos and you are reminding me I have not had shawarma yet! and I have no excuse, there is a good shawarma joint at every corner here! So neat! I love that kind of cuisine. I would love to go back and spend more time in Barcelona and Tuscany. I would also like to go to Greece :) Happy New Year! Your Shawarma looks great! One of my goals in 2012 is to try cooking some Middle Eastern food. Nice post, Rebecca, and I enjoyed your excellent photographs. I've never tried to make pita from scratch. Best wishes to you and your family for a very Happy New Year. Sounds like an awesome trip. It is nice you worked it in as a layover. I would love to see Dubai sometime. For 2012 I have a lot of travel planned (seriously, it is a lot even for me), most of which was on my wish list and then other places are repeats. I am very excited for Israel (of course!) and a friends wedding in San Sebastian (with a few days in Madrid and Barcelona and a small side trip up the French Basque coast to Biarritz). I am also really excited for Australia. Since my Spring and fall trips are booked, there is not much else I can wish to see, although there is still time in 2013!